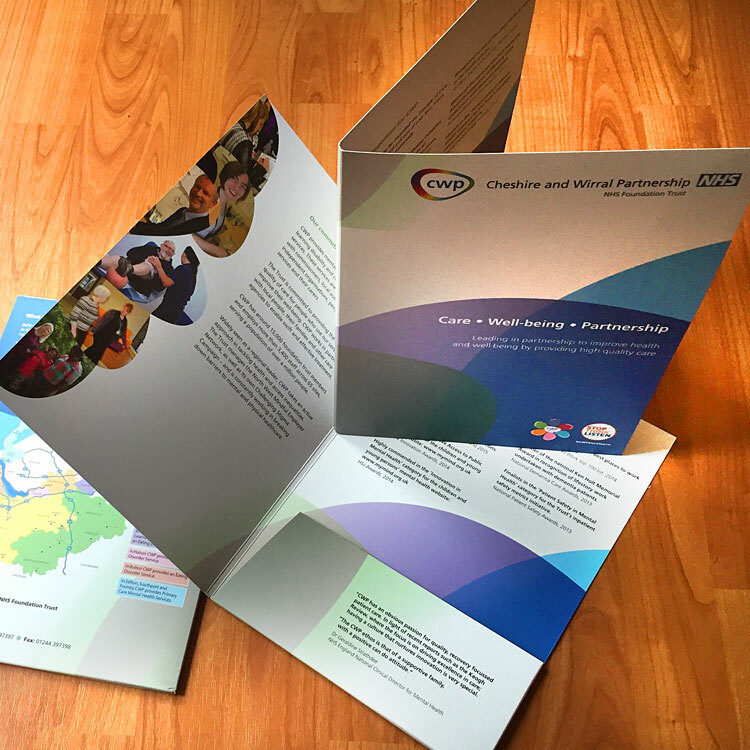 Our reputation and a nice recommendation got us work with this new client and we’ve enjoyed working on several pieces of work for print and online that has involved devising a range of infographics to simplify complex systems and structures. 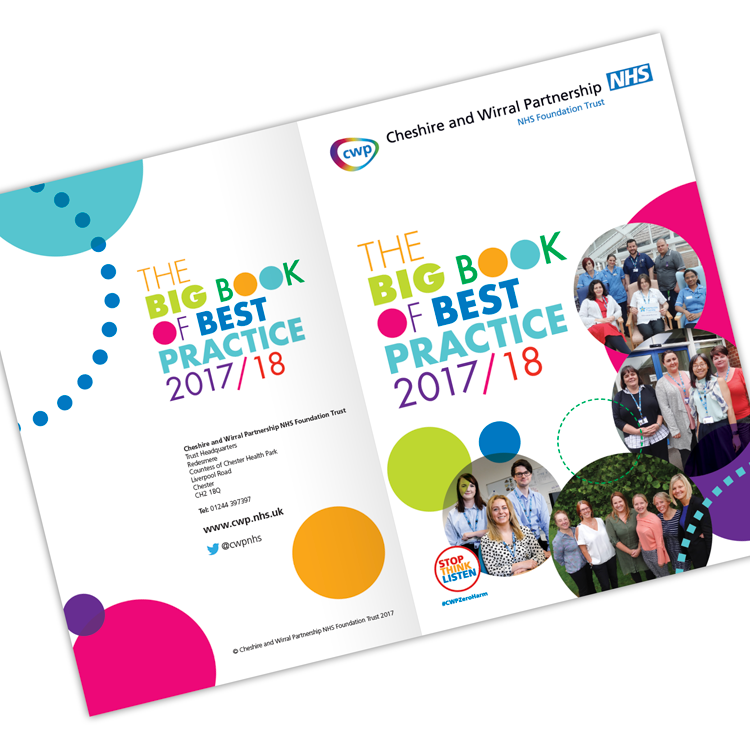 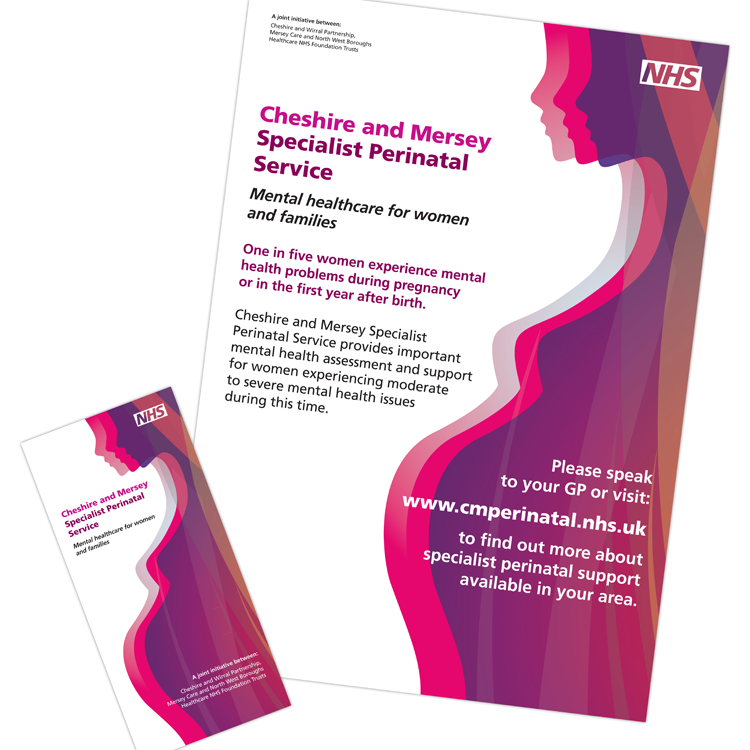 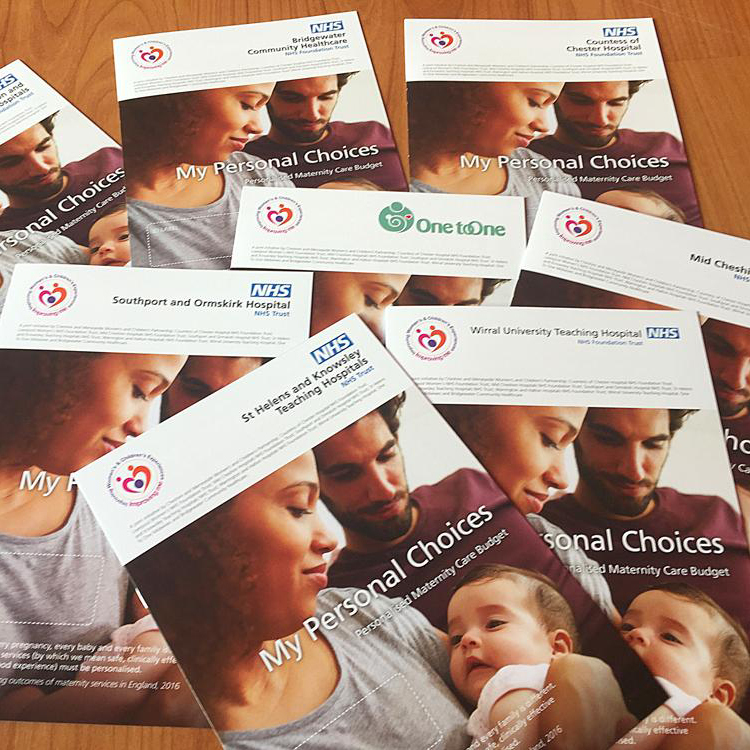 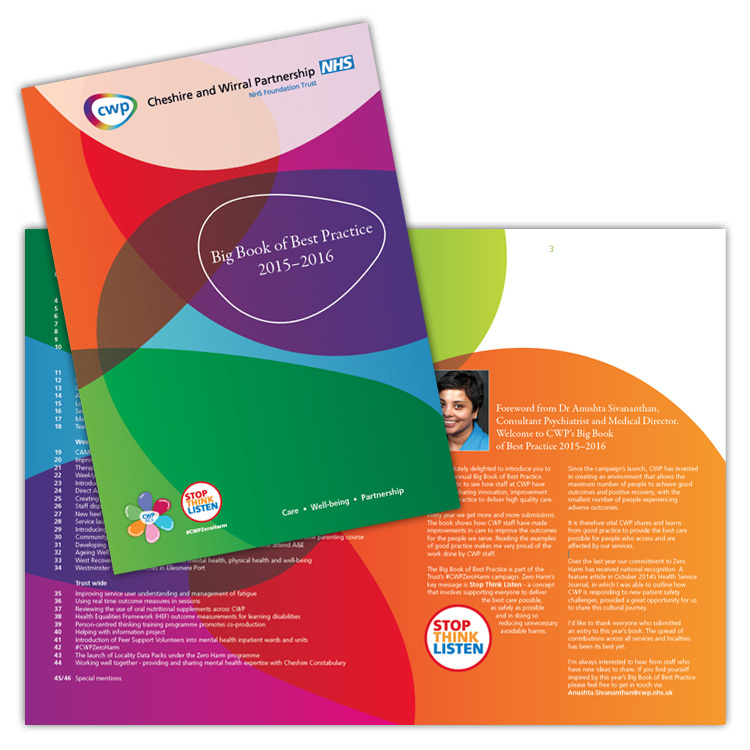 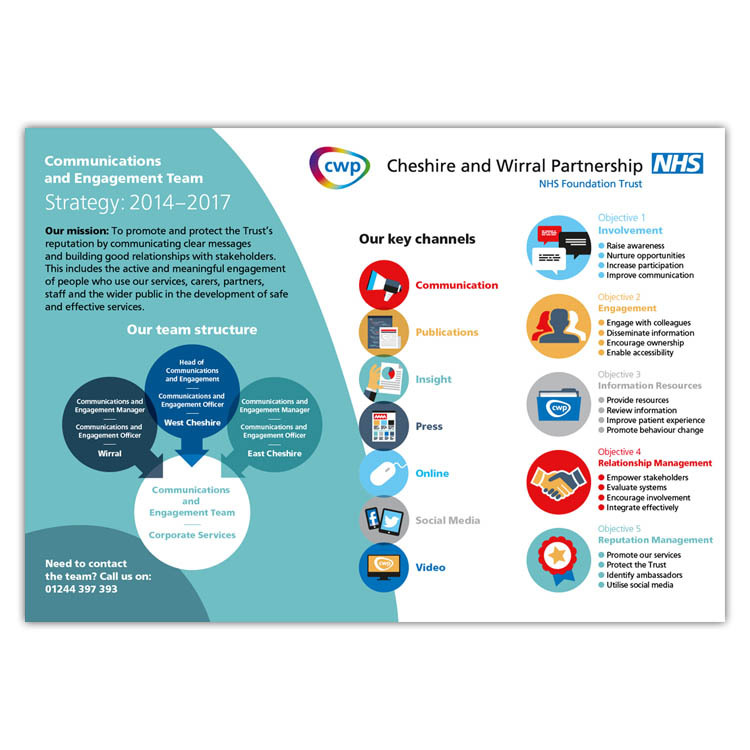 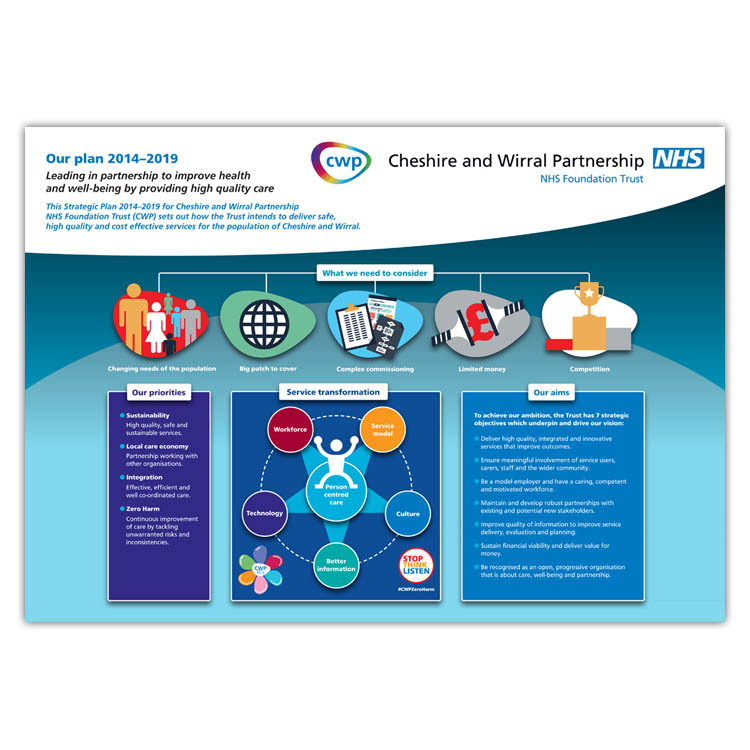 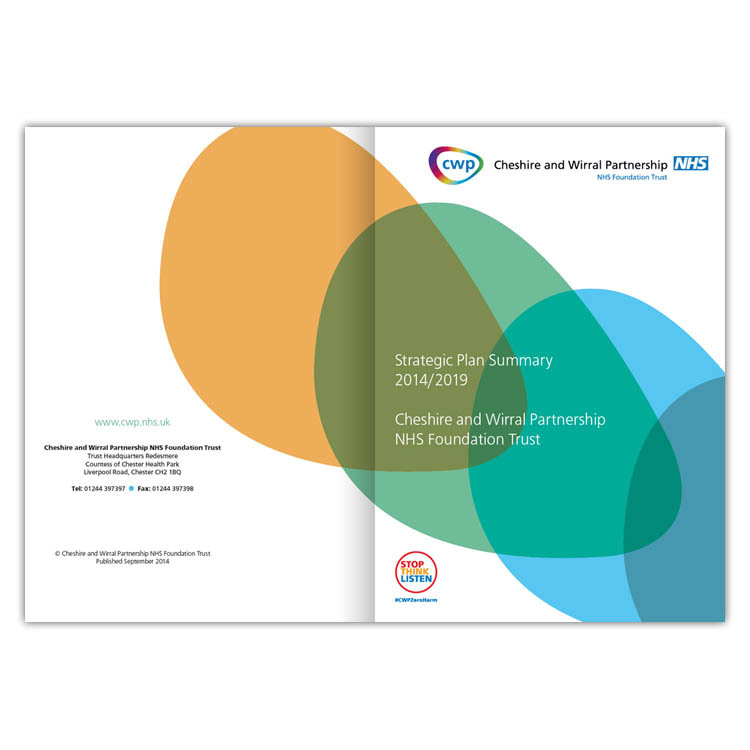 Reports, posters and optimised PDF files for use online have been devised using CWP’s NHS sub-brand that includes its own colour palette and pebble graphic identity. 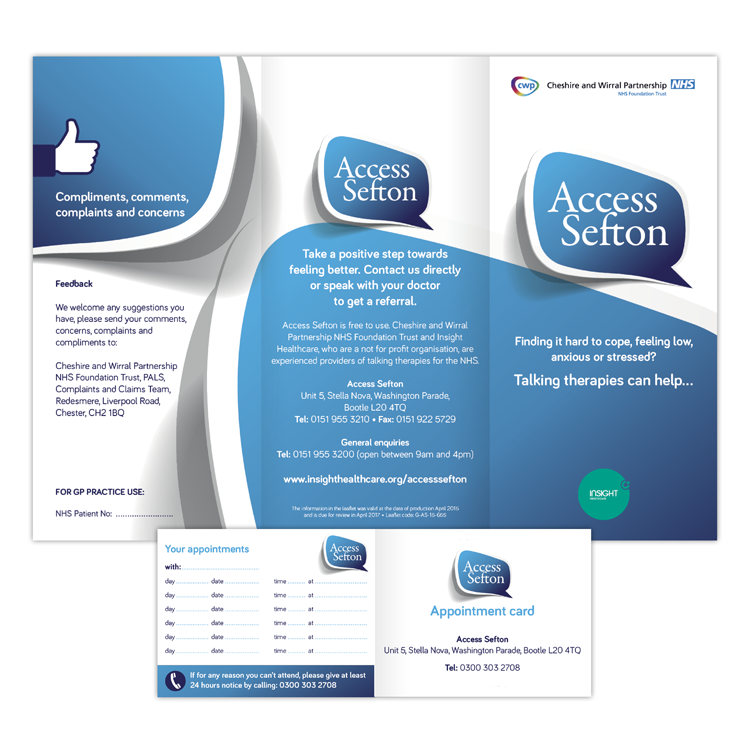 It’s always fun using an additional NHS graphic identity as it can really localise materials without compromising on quality or accessibility.